How would আপনি like Amy/11 to be portrayed? 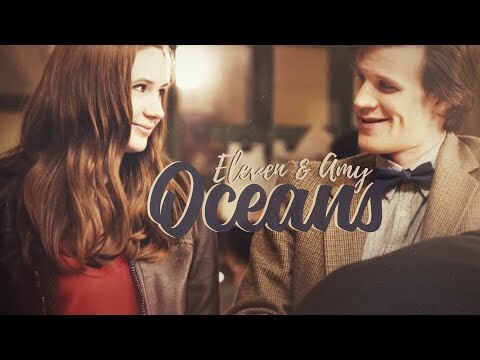 What was the best moment between Eleven/Amy in The time of angels?? 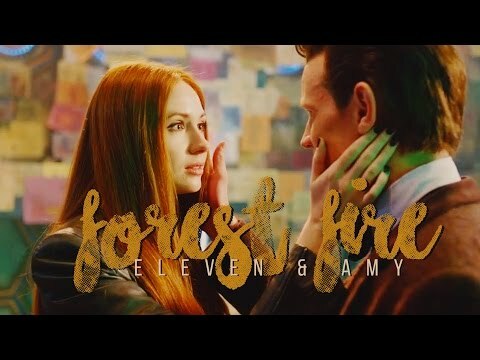 Are Amy/11 your পছন্দ Relationship of Doctor Who? অনুরাগী চয়ন: Yes they are my favorite! Yes they are my favorite! Best moment from 'The Beast Below"
Do আপনি think if Rory never existed that Amy would've been with the Doctor instead? Don't আপনি think this spot seems actually kind of perverted know we know Doctor is a couple with Amy's daughter? OMG!! i think river song is an older version of Amy! "Rory Williams, do আপনি take Amelia Jessica Pond to be your wife?." He looked at amy and smiled. "I do." 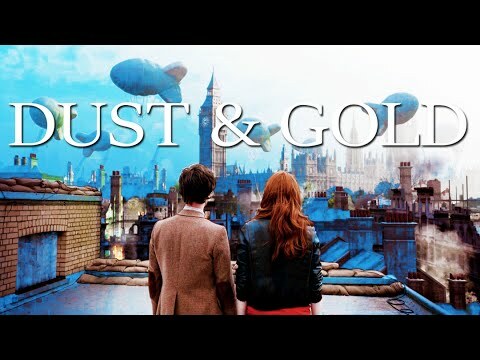 "Amelia Jessica Pond, do আপনি take Rory Williams to be আপনি husband?." "So we have. Which is really weird because i planned on going somewhere else"
"Well let just say that it wasn't meant to be here but since we are here...."
"Please tell me were not going to have a look around"
As they becan to walk down the tunnels none of them knew what they were gonna find. Whether it was the hooded figures অথবা something worse. "So, River, What happned between Amy and my Ganger?." "Nothing. She's was just upset about what happened to you. She thinks it's his fault." "Why don't আপনি think that?." River didn't answer him. "River?." She stayed silent. She really didn't want to answer that question. The Doctor stopped and turned round so that he was facing her. "River, I think i just found our way out." The 'Doctor' removed the panel to reveal a tunnel, big enough walk through. The 'Doctor' ran over to Amy. "Amy, wake up." Amy moaned then opened her eyes slowly. "I though i told আপনি to stay away from me." "I've found us away out." Amy shot up off the Doctor's chest and ran over to the tunnel. "Oh my god. River, how did you.."
"It wasn't me." Amy looked over at the 'Doctor' then ran over and gave him a hug. The 'Doctor' woke up in the cell. He looked round and saw Amy lying asleep on The Doctor's chest and found River asleep on his. He looked at River and thought that she is the only person he could trust right now. Amy probably wouldn't even go near him. He stroked River's cheek with his thumb, then he gently lifted her head off his chest and placed it gently on the floor. He then went over to the cell door and scanned it with his sonic screwdriver, which woke up River. "What are আপনি up to?." I found this and thought আপনি guys would like it. "Doctor? Doctor, wake up. Please." The Doctor woke to find himself back in the cell with Amy and River. "Amy? Where am I?." He pulled himself up of the ground. "Oh Doctor." Amy gave the tightest hug he ever had in his life. "I'm never gonna let anyone take আপনি away from me. Ever." "Sorry." They gazed into each others eyes and placed their foreheads against each others. "Doctor, did they do anything to you?." "DOCTOR!! আপনি bring him back অথবা i'm gonna kick your backside!." "Amy, listen to me. The Doctor will be fine. He'll find a way out of this. I know he will." River went up to Amy and gave her a hug. Amy started to cry into River's shoulder. She just wanted her husband back. "River, i just want him back, নিরাপদ in my arms. What happens if he doesn't come back? What happens if we are stuck here? What if one of us is next?." River took Amy out of the hug,sat her down on the bench in the cell and started to re-scan. Amy looked down at her wedding ring and couldn't help but smile. Amy Pond and Gwen Cooper have so much in parallel it’s unbelievable, it’s only just now twigged! > Also, Amy’s Scottishness and Gwen’s Welshness get brought up quite a bit. > Amy and Gwen are both BAMFS. > Amy and Gwen both don’t take their husband’s name when married. Who is the young Amy Praying to in The Eleventh Hour? Eleven and Amy Medalz Wall! The OFFICIAL Honeymoons Fanfiction Spot!